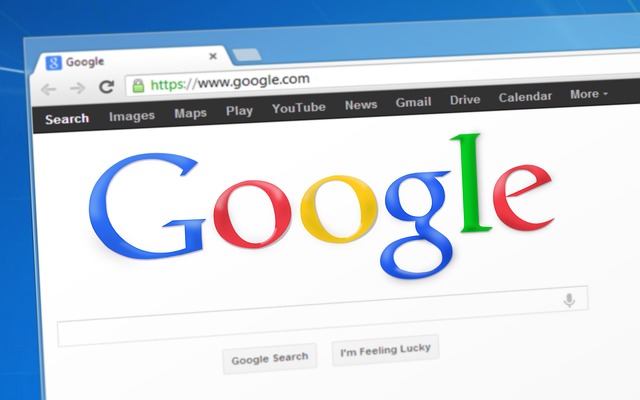 Is Alphabet Inc (GOOGL) A Good Stock To Buy? After a lengthy stretch of outperformance, small-cap stocks suffered from July 2015 through June 2016, as heightened global economic fears led investors to flee to the safe havens of large-cap stocks and other instruments. Those stocks outperformed small-caps by about 10 percentage points during that time, with small-cap healthcare stocks being particularly hard hit. However, the tide has since turned in a big way, as evidenced by small-caps toppling their large-cap peers by 6 percentage points in the third quarter, and by another 4 percentage points in the first seven weeks of the fourth quarter. In this article, we’ll analyze how this shift affected hedge funds’ Q3 trading of Alphabet Inc (NASDAQ:GOOGL) and see how the stock is affected by the recent hedge fund activity. Alphabet Inc (NASDAQ:GOOGL) was in 137 hedge funds’ portfolios at the end of September. GOOGL has experienced an increase in support from the world’s most elite money managers of late. 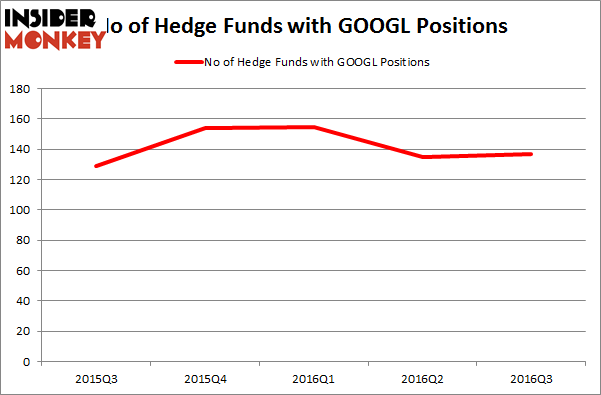 There were 135 hedge funds in our database with GOOGL holdings at the end of the previous quarter. The level and the change in hedge fund popularity aren’t the only variables you need to analyze to decipher hedge funds’ perspectives. A stock may witness a boost in popularity but it may still be less popular than similarly priced stocks. That’s why at the end of this article we will examine companies such as Alphabet Inc (NASDAQ:GOOG), Microsoft Corporation (NASDAQ:MSFT), and Exxon Mobil Corporation (NYSE:XOM) to gather more data points. Heading into the fourth quarter of 2016, a total of 137 of the hedge funds tracked by Insider Monkey were bullish on Alphabet’s Class A shares, a 1% rise from one quarter earlier. The stock remains the most popular among the hedge funds tracked by Insider Monkey when looking at both classes of its shares, with a total of 200 hedge funds owning one or both classes. With the smart money’s capital changing hands, there exists a select group of notable hedge fund managers who were increasing their stakes significantly (or already accumulated large positions). According to publicly available hedge fund and institutional investor holdings data compiled by Insider Monkey, Viking Global, managed by Andreas Halvorsen, holds the largest position in Alphabet Inc (NASDAQ:GOOGL). Viking Global has a $1.58 billion position in the stock, comprising 6.8% of its 13F portfolio. Sitting at the No. 2 spot is Lansdowne Partners, led by Alex Snow, holding a $1.07 billion position; 9.2% of its 13F portfolio is allocated to the company. Other professional money managers that are bullish comprise Ken Fisher’s Fisher Asset Management, Ken Griffin’s Citadel Investment Group, and David Blood and Al Gore’s Generation Investment Management. Constellium NV (CSTM): This Metric Is Giving A Huge Buy Signal 5 Stocks Hedge Funds Are Betting Against Insiders 5 Micro-cap Stocks Billionaires Love The Most The Big Short’s Michael Burry Reveals His New Stock Picks Five Dow Jones Stocks That Can Outperform The Market Is Becton Dickinson and Co (BDX) A Good Stock To Buy Right Now?